Is Your HVAC Contractor a True Professional? As we transition from winter to spring, now is the time to call for pertinent Oklahoma City, OK HVAC services, such as late-season heating repairs and air conditioning maintenance to ensure that your cooling system is ready to handle the warmer weather right around the corner. Of course, we recommend that you only count on a professional for these services, as anything less could leave you with an inefficient and potentially even inoperable HVAC system. But, do you know what to look for when it comes to hiring a professional HVAC contractor? Posted in HVAC Contractor | Comments Off on Is Your HVAC Contractor a True Professional? Your heating and cooling systems account for about half of all your energy costs. Therefore, you want your HVAC system to run as efficiently and effectively as possible for as long as possible, naturally. But it can only do so if it is professionally installed and serviced. 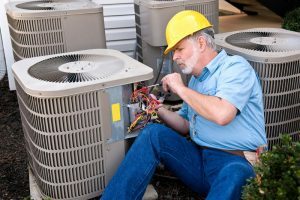 For example, an inexperienced HVAC contractor may not know how to appropriately size a new air conditioner for your home, and as a result you could wind up with an underperforming system, or a cooling system that cycles on and off rapidly (short-cycling), resulting in inefficient performance. © 2017–2019 Comfort Incorporated. All rights reserved.